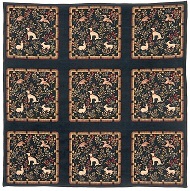 Classic Tapestries has many beautiful Animal & Wildlife designs. Not all are available for viewing on the website. We welcome enquiries. Please contact us for further designs.